CHINE – Xiaoshan - Archaeologists in east China's Zhejiang province unearthed 708 cultural relics from a cluster of tombs dating back to the Shang and Zhou dynasties as of the end of last year, sources with the provincial archaeological institution said Thursday. Located in the Xiaoshan district of the provincial capital of Hangzhou, the tombs were found last March when evidence of graverobbers led local authorities to the tombs. The relics retrieved from the 45 tombs include pottery and porcelain, according to Shi Jianong, curator of Xiaoshan Museum in Hangzhou. The relics will provide vital research material for scientists who are studying the origin and craftsmanship of ancient Chinese porcelain, Shi said. The tombs will also play an important role in research concerning funeral customs from the Shang and Zhou dynasties, Shi said. BULGARIE – Perperikon - Archaeologists in Bulgaria announced on January 12 2012 that they had found a unique ceramic relief of a Thracian Horseman – a key figure in cult worship – estimated to date from the fourth century BCE, at the country’s Perperikon site. Perperikon, an ancient site of worship that has hosted more than one forms of faith over the centuries, regularly has yielded astonishing archaeological finds. Bulgarian National Television reported that the image of the Thracian horseman was found 300 metres from a small hill, known as Besik Tepe, at Perperikon. Treasure hunters had dug in the hill but they had missed the Rider, which the report described as "unique and without equivalent in Thracian art", representing one of the earliest images of the Horseman cult in what is today Bulgaria. 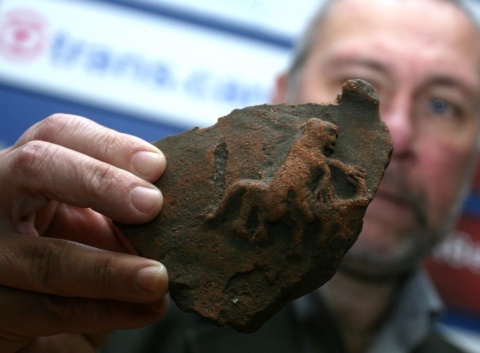 Archaeologist Professor Nikolai Ovcharov showed journalists another Thracian Horseman find from Perperikon, but dating from much later, estimated to be 700 years more recent and made of marble. ROYAUME UNI – Lyndhurst - An archaeological dig at a Hampshire church has revealed clues about religious activity in medieval times. 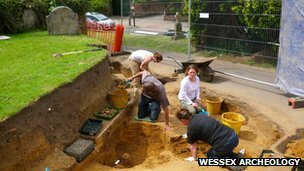 The dig at St Michael and All Angels in Lyndhurst unearthed rare physical evidence of a 12th Century settlement in the town. The investigation also dismissed a long-held local belief that the distinctive mound on which the church stands was man-made. Nearly a quarter of the finds at the church have been described as medieval. The excavation of the mound was carried out to allow a new driveway to be built to the church. It involved the removal of a 5ft (1.5m) deep and 16ft (5m) wide section of earth. There was no archaeological investigation undertaken when the current church was built in the 1860s. However, it is known that it replaced one built in the 1760s. Records also show there was a royal hunting lodge on the site of the current Queen's House, adjacent to the church, which had a chapel attached. Mr Green said: "We didn't expect to find the remains of the early church as it is below the present building. 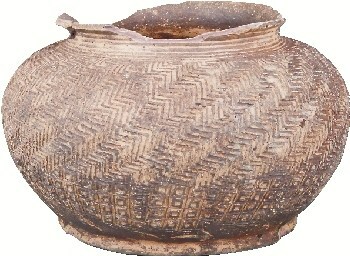 However, there were over 350 shards of pottery found - jars and rims of jugs - and nearly a quarter were medieval. The investigation also found geological evidence to debunk local folklore that the distinctive mound was man-made, possibly an Iron Age burial mound. Mr Bruce said: "As the dig went on, we found original sand that was very obviously naturally laid down. So we know for absolutely sure that it is not man-made. As part of continuing improvement works, there are also plans to investigate beneath the church floor for other evidence of religious activity on the site. USA – San Antonio - About 3,500 years ago, when the Bronze Age was ending in Europe and the Olmec civilization was thriving in Mexico, natives in San Antonio were living off the land using primitive tools, as they had been for thousands of years. Signs of ancient human settlements have been found elsewhere in Texas, some more than 10,000 years old. And now there's evidence that about 1500 B.C. — three millennia before the Spanish Conquest — natives were building structures along the San Antonio River. Last month, workers preparing Mission County Park for construction found evidence of one such building while searching for a previous location of nearby Mission San Jose, which they never located. What they did uncover — and then reburied after preliminary investigation — were remains of a prehistoric hut that burned down but left significant clues. Betty Bueche, who manages county facilities, said the structure dates from the Late Archaic Period that spanned from 3000 to 1000 B.C. Evidence is being analyzed by the state archaeologist and the UTSA Center for Archaeological Research. It's not known yet what the structure was used for, and its dimensions aren't certain. "All we know is that it burned," Bueche said, but even so, the charred remnants could tell tales. "In that timeframe, the structures that have been found previously are with bent poles, so they formed sort of a domed hut. These were done with upright posts, so this was a method of construction that until this find and the carbon dating that's been done, we didn't know dated that far back," Bueche said. Few artifacts have been found at the location. "There were some chips of flint that obviously had come from dart points, but very little. That's the thing — we're at a very preliminary stage" of the investigation, she said. INDE - Kotada Bhadali - In a joint excavation carried out by the Department of Archaeology of Pune’s Deccan College and Gujarat’s archaeology department, a new Harappan site has been discovered at Kotada Bhadali village area in Nakhatrana taluka of Kutch district. The site dates back to 3000 BC. Y S Rawat, the state’s director of archaeology, said, “Primary excavations have showed that the site probably belongs to late Harappan period around 3000 BC, but the data available from the excavation is too small to determine the exact period. We will carry out more studies to confirm the period and other facts.” “Our investigation so far was preliminary in nature. In January, extensive digging will be done on all sides of the fortification wall to understand the exact nature of construction style and its layout. This will help us understand if it’s really a fortification wall. If so, what is it they were guarding their settlement from? If not, we will study further to ascertain if it was a status symbol or a trend,” Rawat said. “The discovery is still at a nascent stage. The nature of the site will now be studied based on the structural remains and ceramics,” the official said, adding that the relationship between the site of Kotada Bhadli and sites in north-eastern Kutch will be highly important to know.